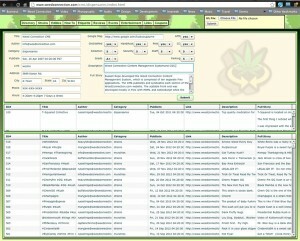 Russell Rope developed the Weed Connection Content Management System, which is comprised of ten separate Flex applications. 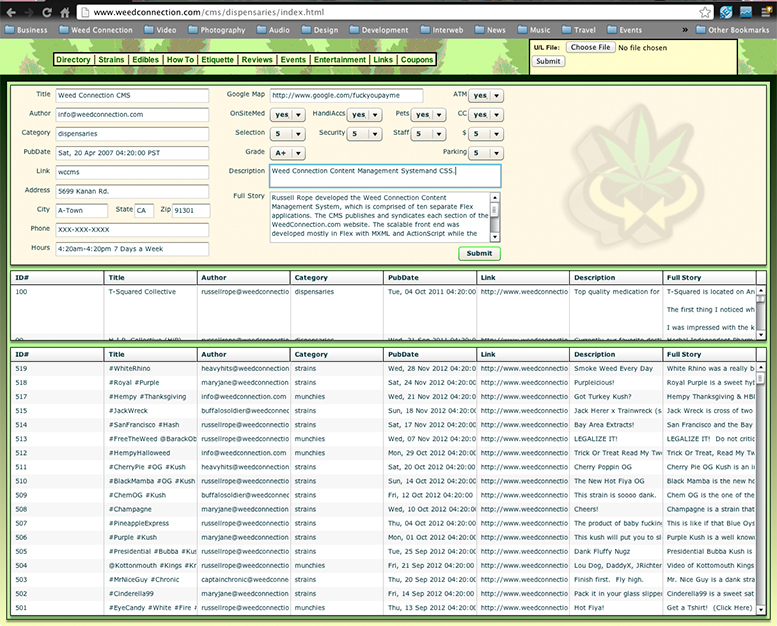 The CMS publishes and syndicates each section of the WeedConnection.com website. The scalable front end was developed mostly in Flex with MXML and ActionScript while the backend was developed in PHP, SQL, XML, RSS, XHTML, and CSS. Basically, the CMS generates search engine optimized content pages, updates site navigation linked to those pages, and also updates the RSS feeds.